​please click on the "Donate Now" button. 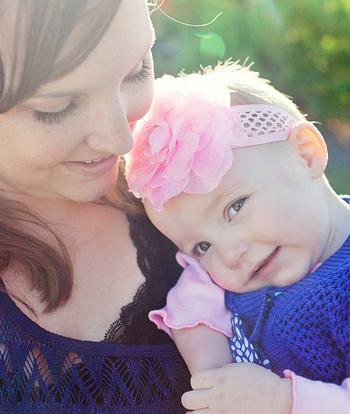 Olivia Caldwell was originally diagnosed with a grade II astrocytoma in July 2012 at just 4 months old. She endured a surgical brain biopsy that landed her in the PICU, several port surgeries, countless MRI’s, numerous hospitalizations, and 7 months of high intensity chemo before we learned in January 2013 that it was believed we had gotten all of the tumor cells. Her last day of chemo was February 13, 2013 and we enjoyed a few months of “normalcy.” Even at this point Olivia was left with many effects from her tumor, including right side weakness, developmental delays, compromised vision and epilepsy. Then in June 2013 the same signs began to appear that caused us to rush Olivia to Children’s Hospital Colorado in Denver late one summer night. Just two days later we saw on an MRI that her tumor had come back and was even bigger than before. Once again Olivia went through a port surgery and she began chemo the next week. She endured weekly chemo, many more MRI’s, and another hospitalization and her tumor remained stable for about four months. In late September 2013 Olivia began to decline. She began to sleep most of the time, lost her developmental skills, began to have more seizures, her pupils became extremely dilated and it was clear she had lost all of her remaining vision. Then on October 17, 2013 Olivia had an MRI that discovered her once stable tumor had “exploded in growth.” That was the day we found out there was nothing more that could be done and she was terminal. She went home with us on hospice and passed away at home in the arms of her mother and father just 5 days later at 20 months and 3 days old. She left behind her mommy, daddy and her twin brother, Wyatt. Olivia was the sweetest of spirits. She was strong and fought an incredibly hard battle with a smile on her face each and every day. She touched the hearts of thousands and inspired everyone who knew her to be better. 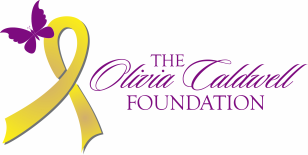 Her legacy now lives on through her family and through The Olivia Caldwell Foundation for pediatric cancer research as we fight on to find a cure.